This weeks collection comes to us from Jason McCormick. Here is something cool I have from a few years ago. 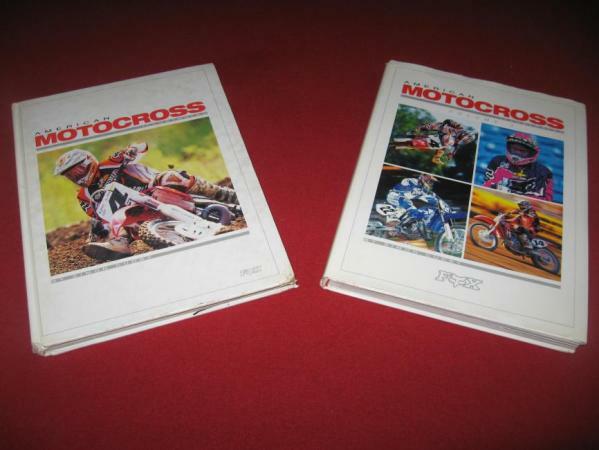 Simon Cudby’s American Motocross Illustrated books. I had the riders sign every page they were loated throughout the two books. In total there is 300 autographs! 17 from Carmichael, 11 from Stewart, 9 from Reed, 8 from McGrath, & 5 from Pastrana to name a few. There is also signatures from Dowd, Henry, baseball legand Ken Griffey Jr, Brown, Langston, Lusk, and Hughes. 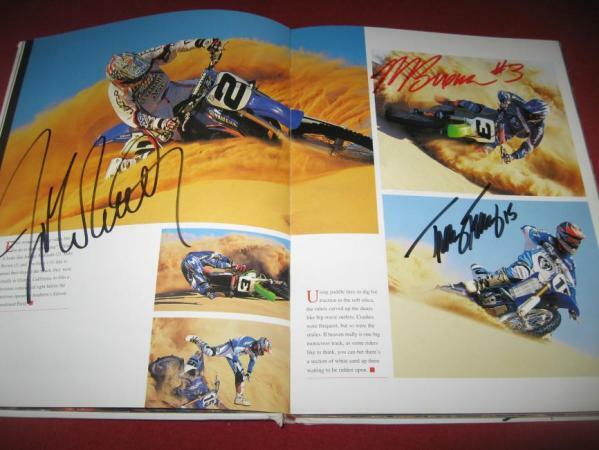 Some of the amateur racers from Loretta’s who sign the books are Aleesi, Izzi, Millsaps, Osbourne, and Trettel. 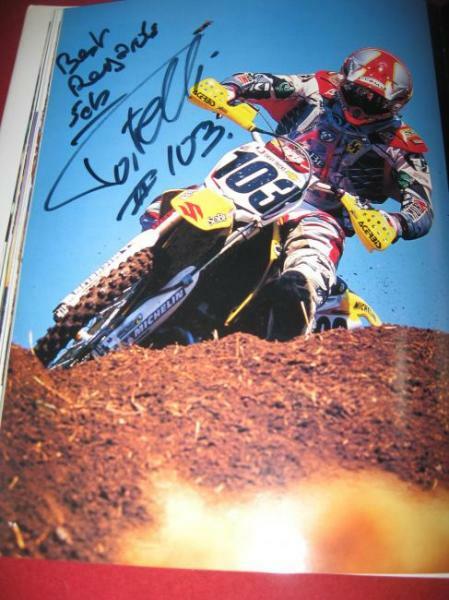 It is fun to look back in time and remember the great memories of riders like Roncada, Ferry, Preston, Huffman, Evans, Vuillemin, Sellards, and the rest. These books are a small part of my life and anyone who has traveled the circuits can verify, it is like one big family. It is crazy to look back at Simon’s photos from the 2002 & 2003 seasons and remember that race like it was just yesterday. To the photos from the very muddy 2nd motos at Hangtown, to the start of Daytona with McGrath, Pastrana & Tortelli, to the photo of Bubba rolling and knocked out at the Vegas Supercross dirt with his bike airbourne and heading into the mechanics area. Thanks Simon for the memories and to Fox for producing the books for all us fans!